Windshield wipers are a simple, yet crucial auto part. Without proper windshield wiper blades, your visibility will be compromised whenever there are adverse weather conditions outside. This puts you and other drivers on the road at risk of an accident. As a general rule, you need to replace your wiper blades every 6 months, or every time there are extreme seasonal changes or temperature fluctuations. But when the time comes, how do you find the right wiper blades for your vehicle? What things do you need to consider? If you check in your Nissan owner’s manual, you will find the dimensions for wiper blades suited to your specific make and model vehicle. If you attempt to install wiper blades which do not fit, you risk your blades breaking or popping off when you try to use them. Compact cars will require much smaller wiper blades than a large SUV or truck. Different wiper blades — made from different materials, etc. — may be better suited to different driving conditions. For example, silicone wipers are more durable than rubber and are therefore better suited to extreme weather conditions. The shape of your windshield will determine the necessary shape of your windshield wipers. If your windshield is curved instead of flat, you will require curved wiper blades. The opposite is also true. At a glance, aftermarket products seem to be more cost-efficient. However, Genuine Nissan and Nissan approved wiper blades will be better suited to your vehicle. They will provide a better fit and deliver higher-quality performance. No aftermarket products will be better suited to work for your Nissan’s design and shape. Genuine Nissan and Nissan approved blades will last longer than competitor’s products, ultimately saving you money in the long run. The easiest way to ensure you’re getting the best wiper blades for your Nissan is to purchase them from your local Nissan dealership. 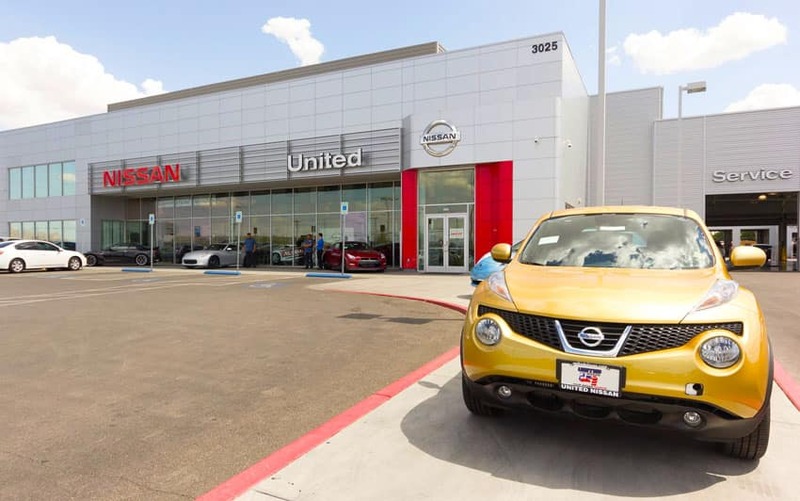 Drivers in Las Vegas and the surrounding area should shop at United Nissan! If you need help installing your wiper blades, the parts and service experts at United Nissan will gladly assist you.